WILLEMSTAD - The problems with electricity this weekend were caused by an unstable network. This is according to the declarations of the utility company Aqualectra. Especially the western area of the island, Bándabou had problems with this. Between Tera Kora and Westpunt this weekend the power went out regularly. The culprit is the BOO plant located on the refinery property. According to the utility company, the instability of the grid had to do with a broken boiler from Curaçao Refinery Utilities (CRU). This boiler has been out of operation "as planned" since Thursday afternoon. 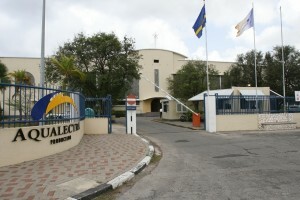 But at the same time, the refinery stopped supplying electricity to the island's electricity grid, Aqualectra explains. In cooperation with CRU, the electricity networks of the island and the refinery are linked together again. Now that boiler 2 has been put back into use, the situation is expected to normalize again. According to the electricity supplier, everyone has power again today.